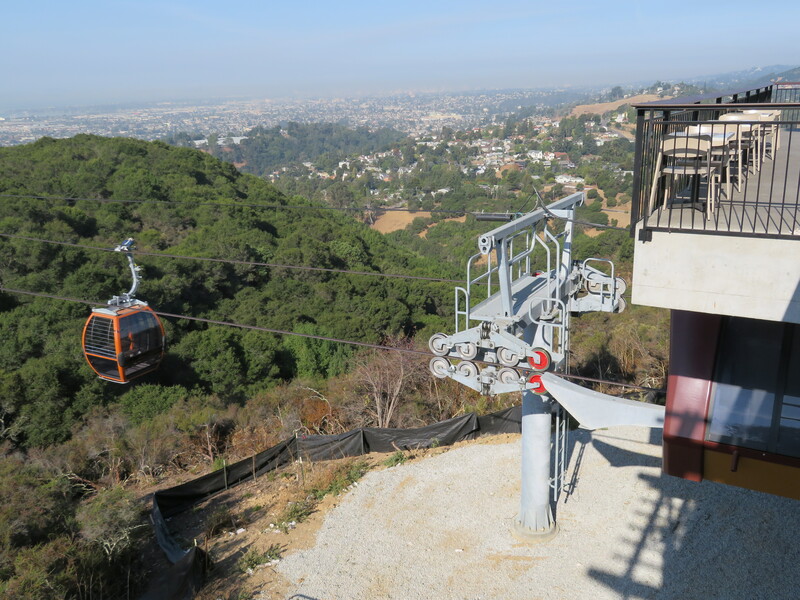 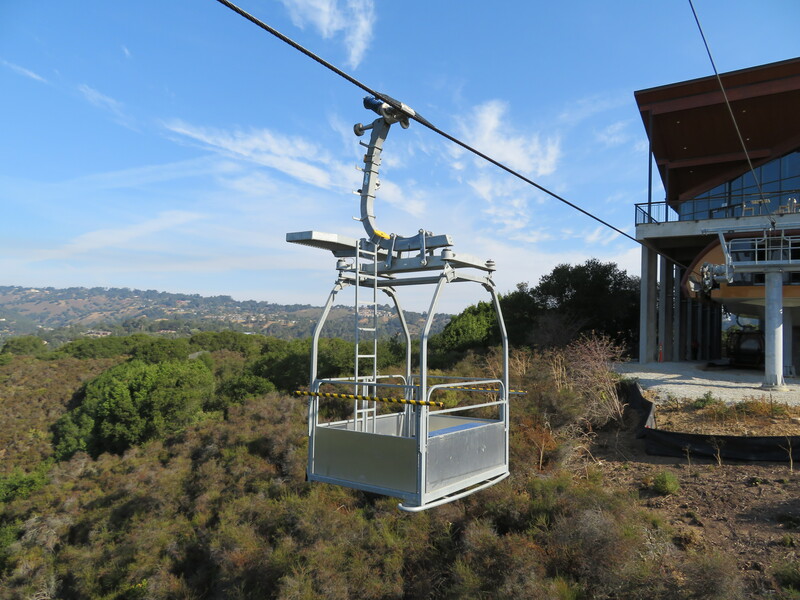 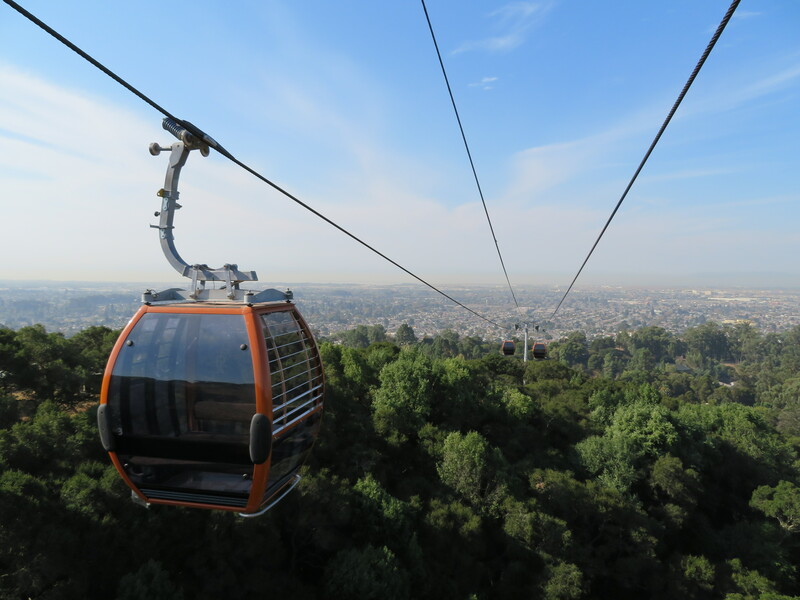 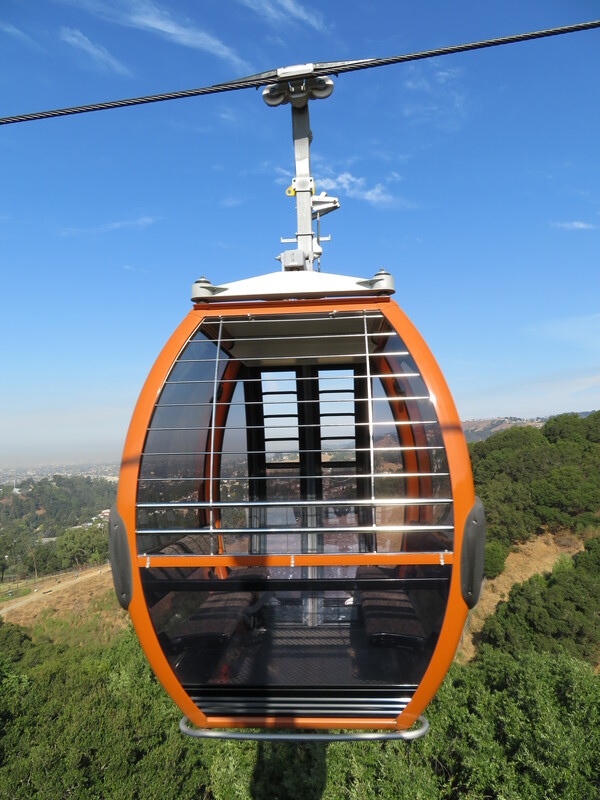 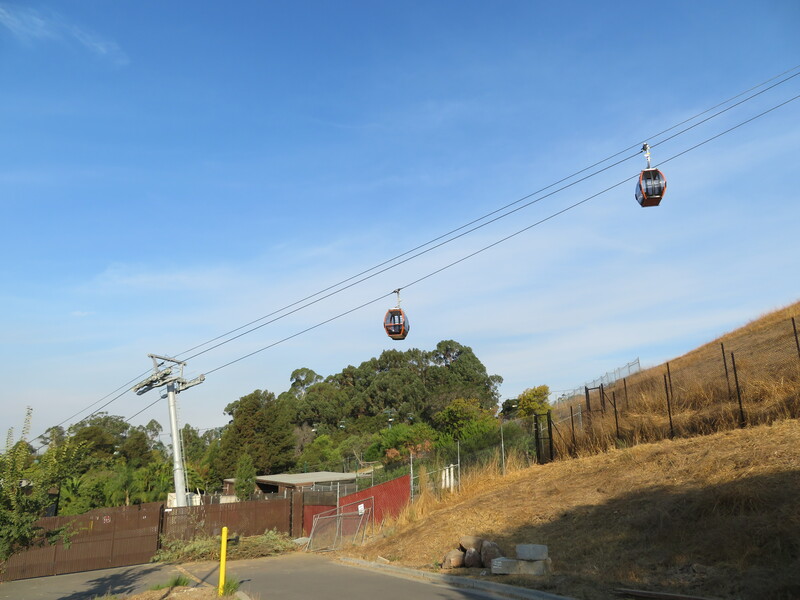 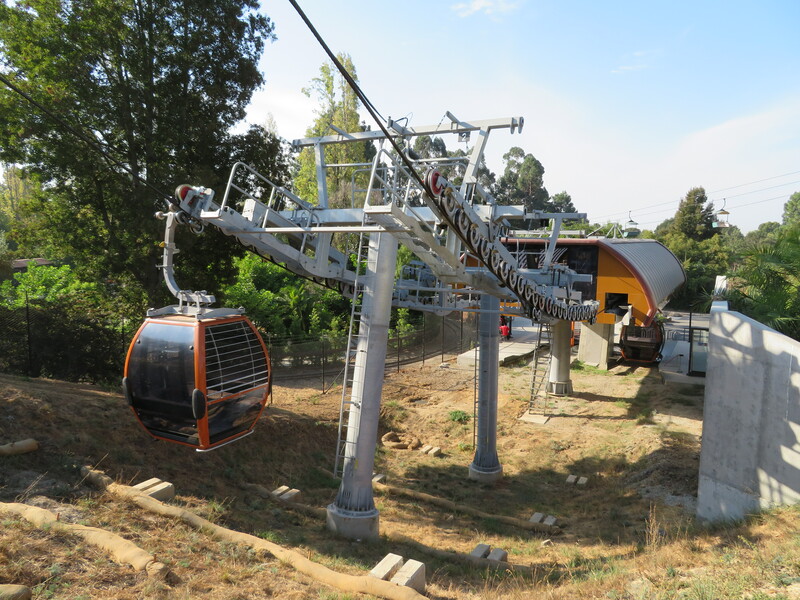 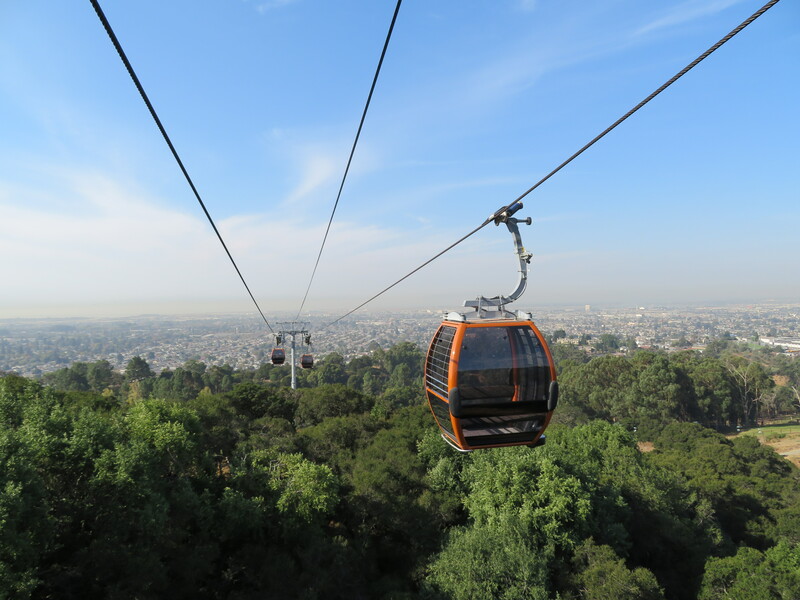 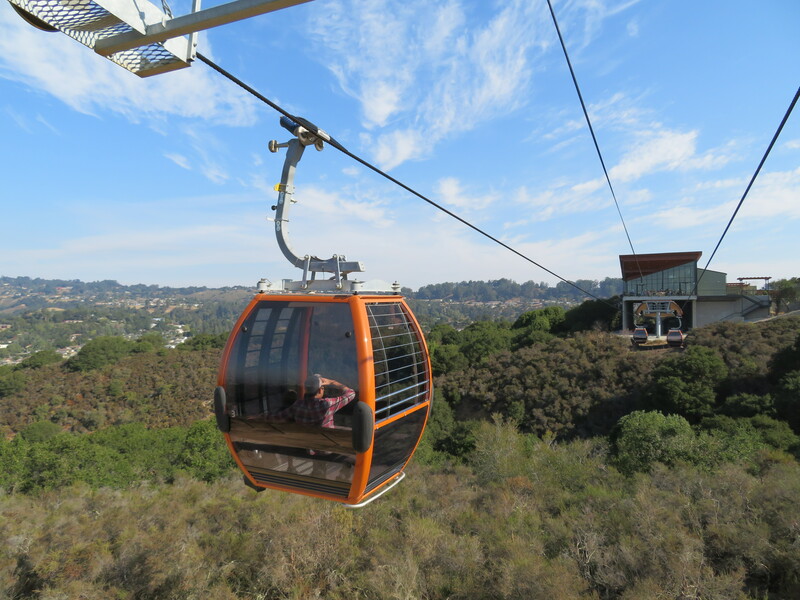 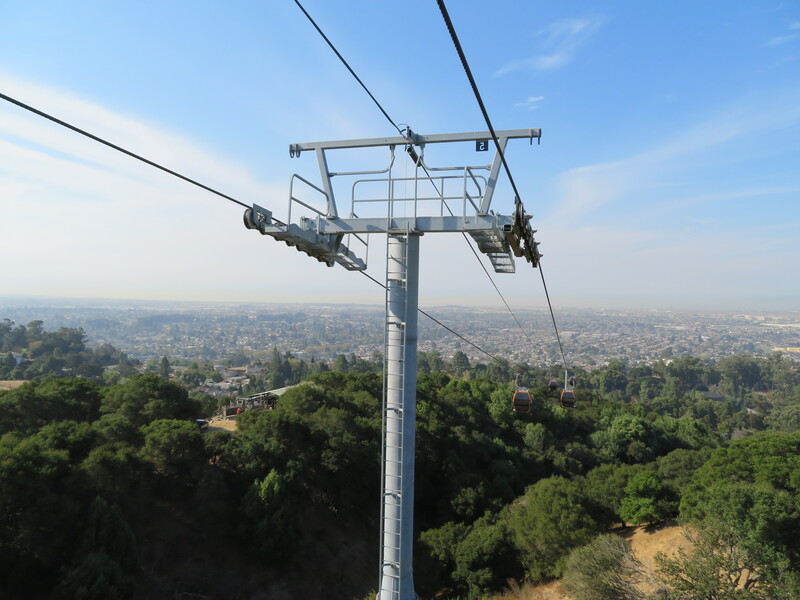 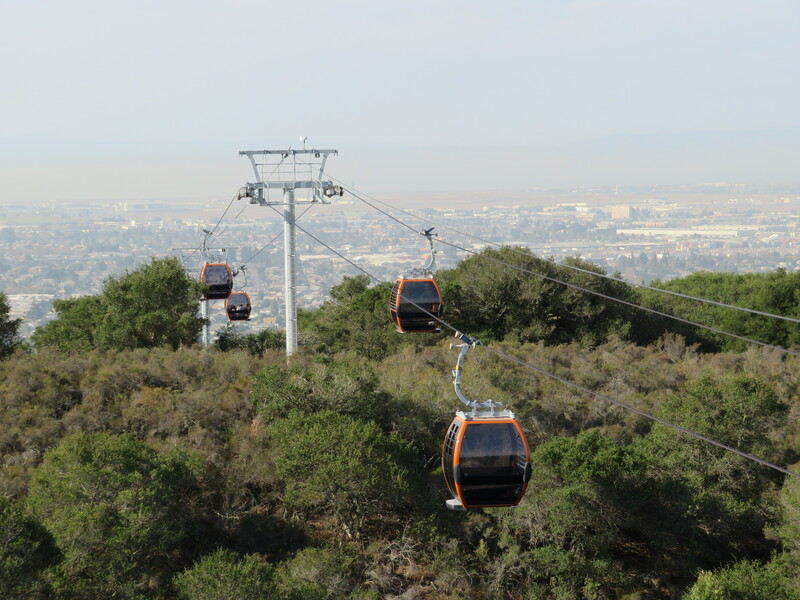 This new gondola connects the Oakland Zoo to a new, separate $80 million expansion on a neighboring hill. 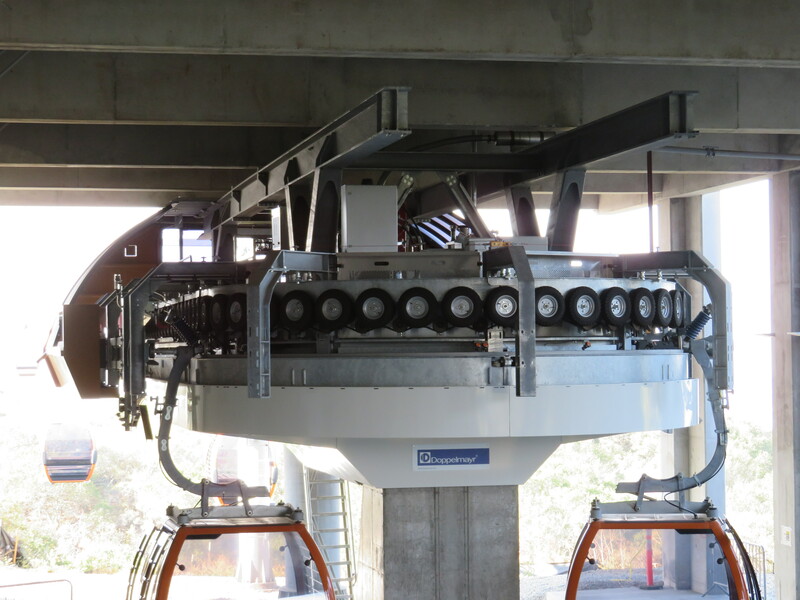 The bottom terminal is a standard Doppelmayr Uni-G design. 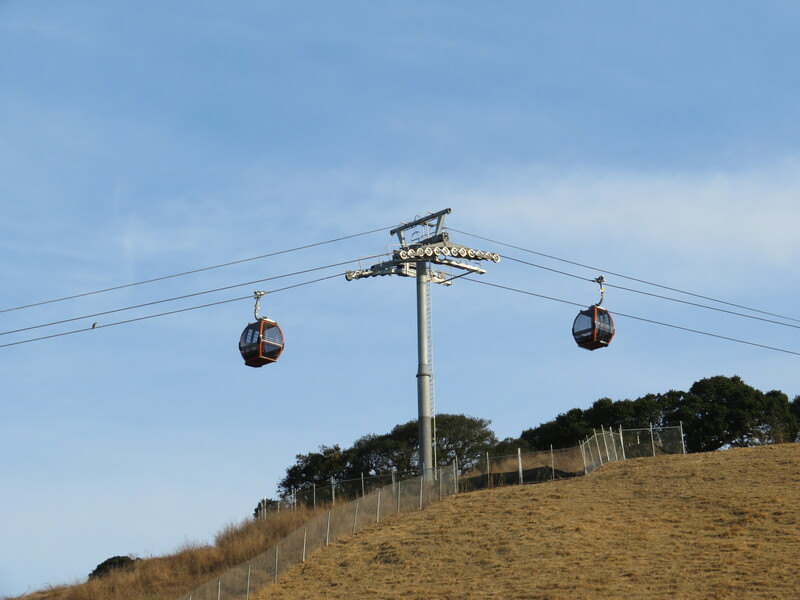 Towers 1 and 2 are directly adjacent to the return terminal. 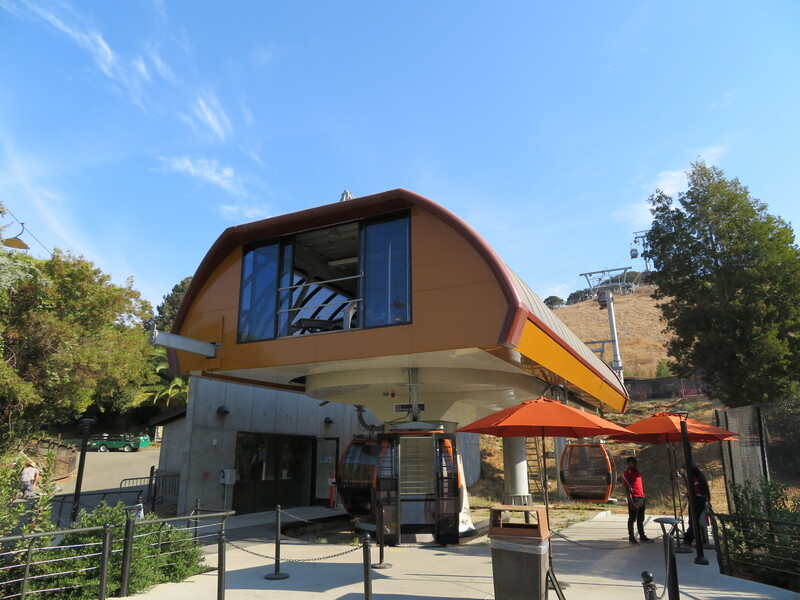 This is called California Station. 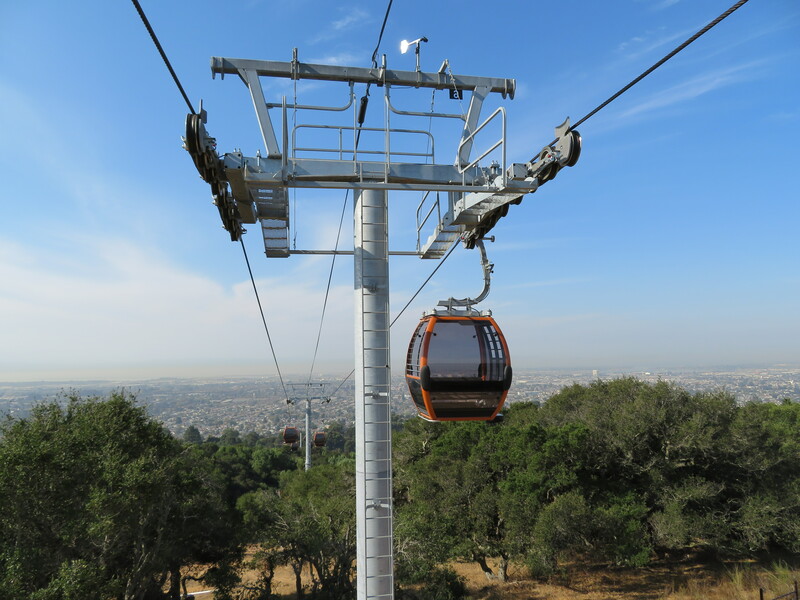 Tower 4 uses large sheaves and has a European-style lifting frame. 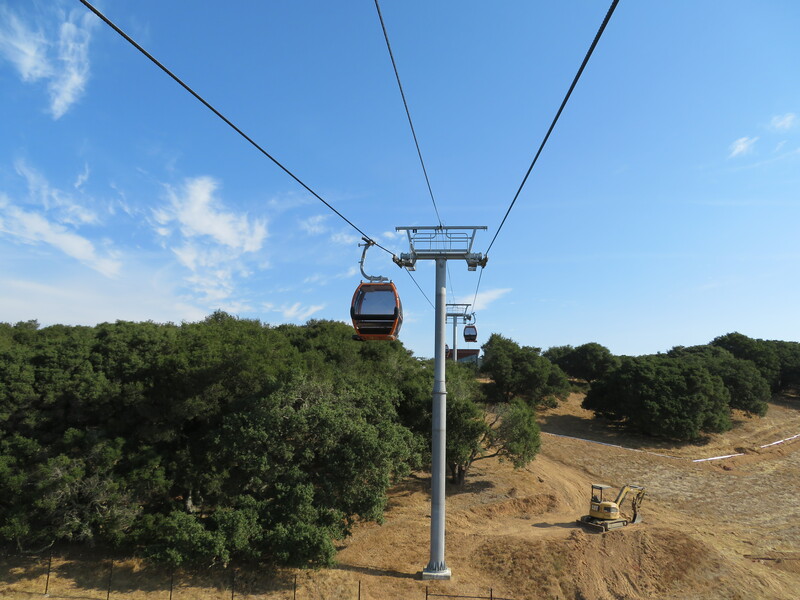 After T4, the line is relatively flat with beautiful views. 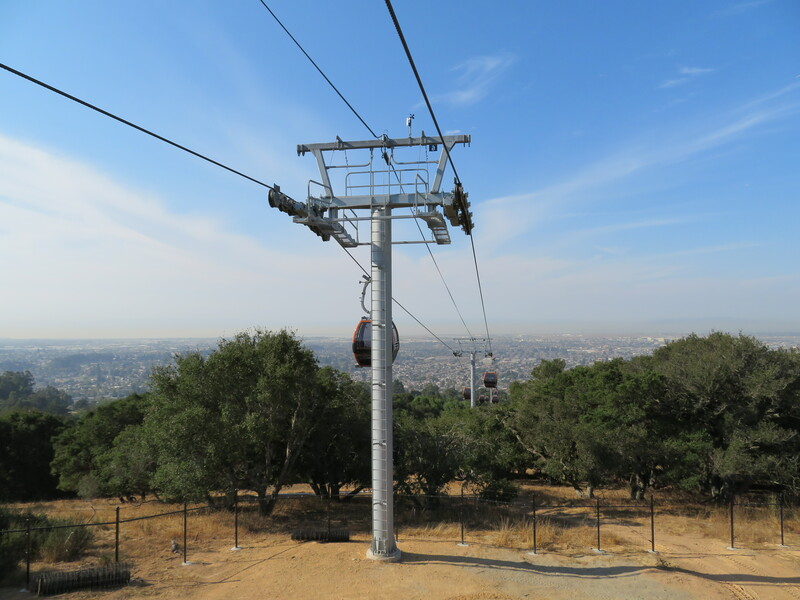 View down to San Francisco Bay. 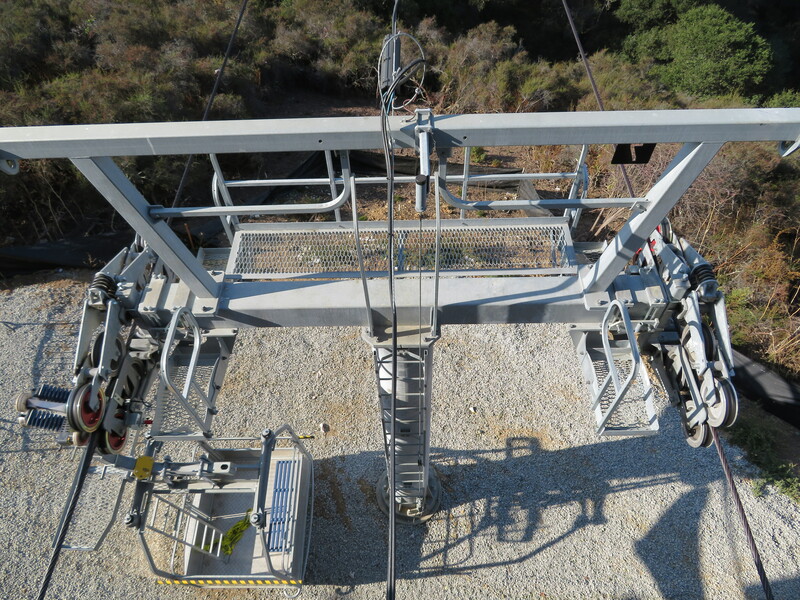 T6 has a third lifting frame style. 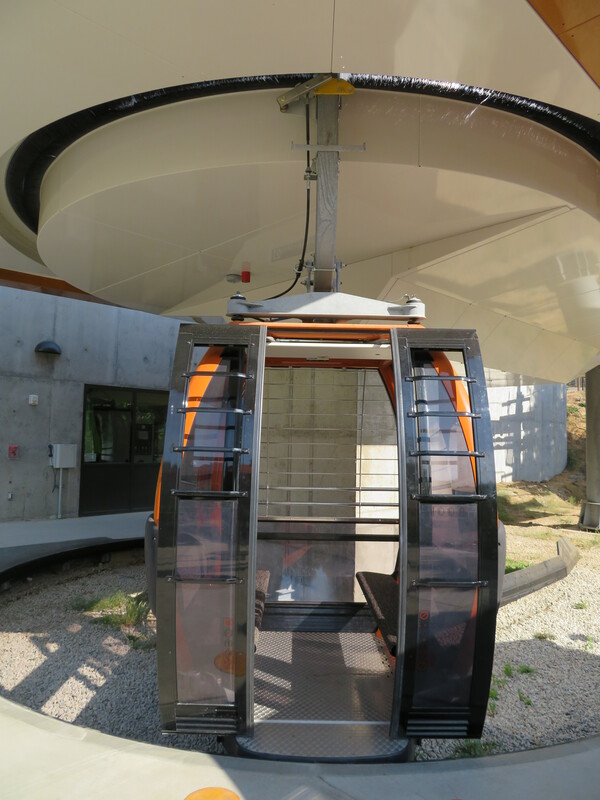 The top terminal is located on the first floor of the Landing Cafe. 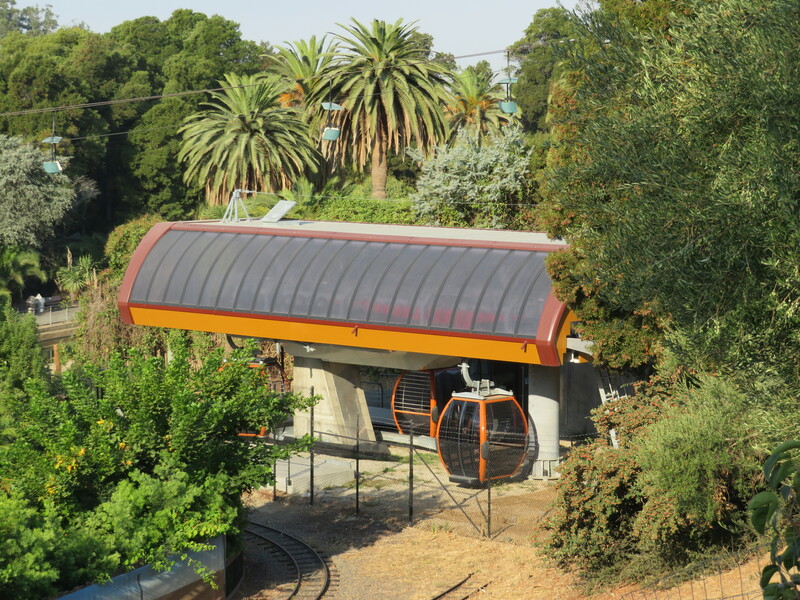 The typical enclosure only extends part way in before the building serves as a roof. 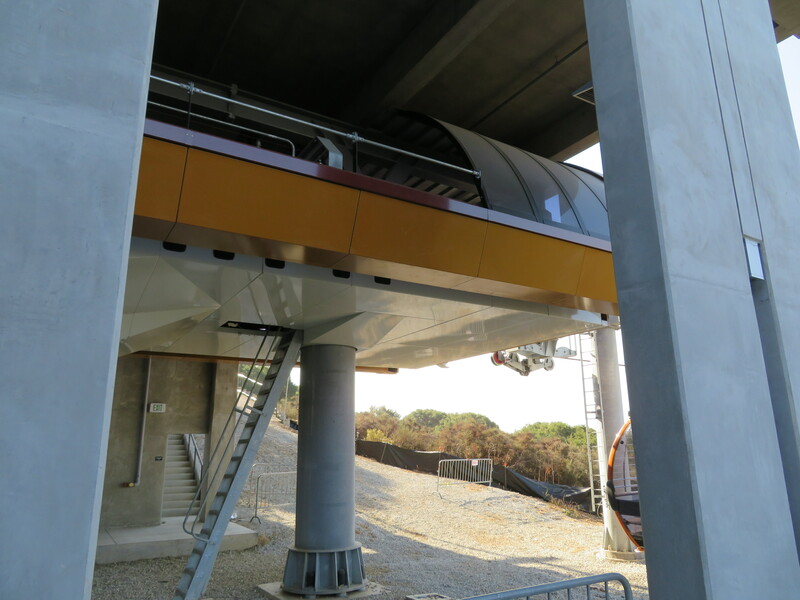 The turnaround is open to the building. 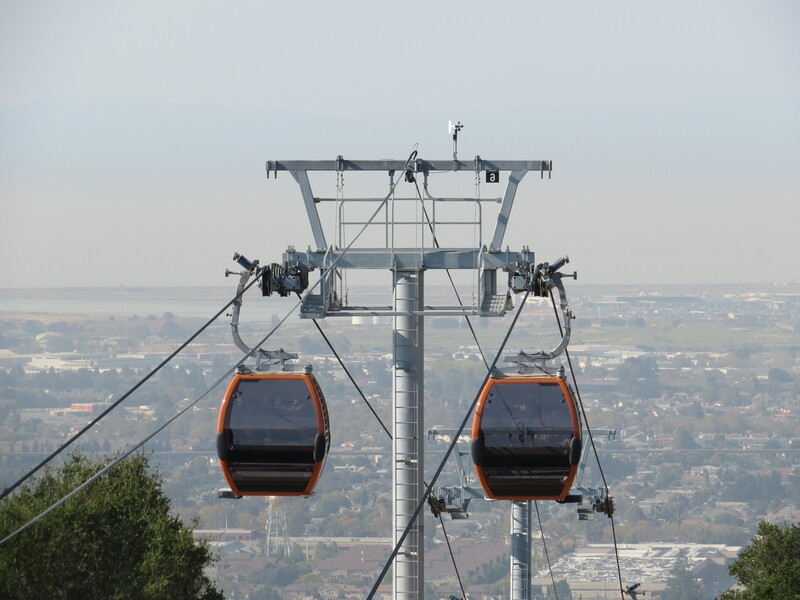 In some ways, this is the United States’ first urban gondola. 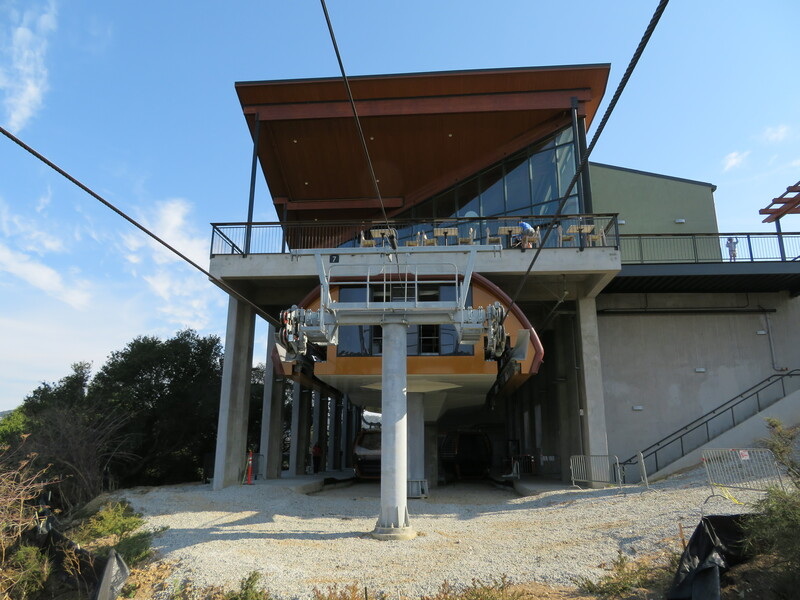 View of tower 7 from the restaurant deck above. 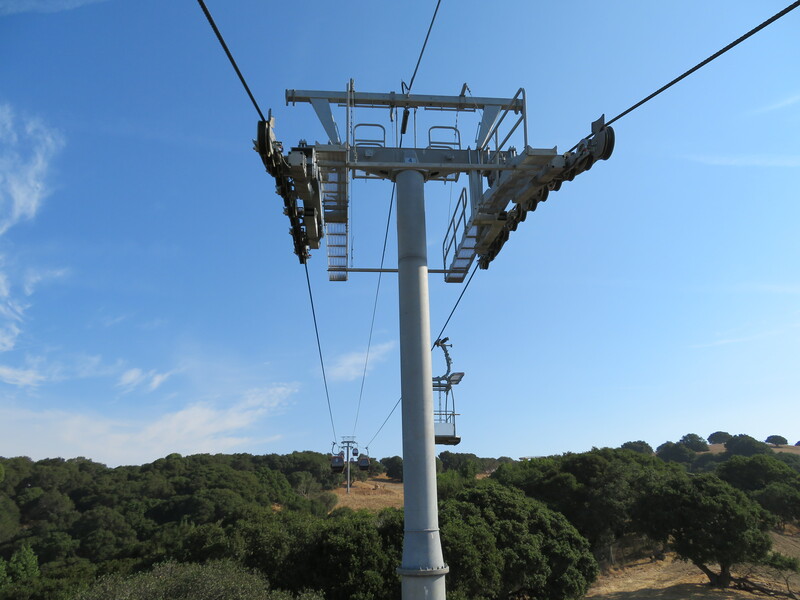 Breakover towers and Omega cabins. 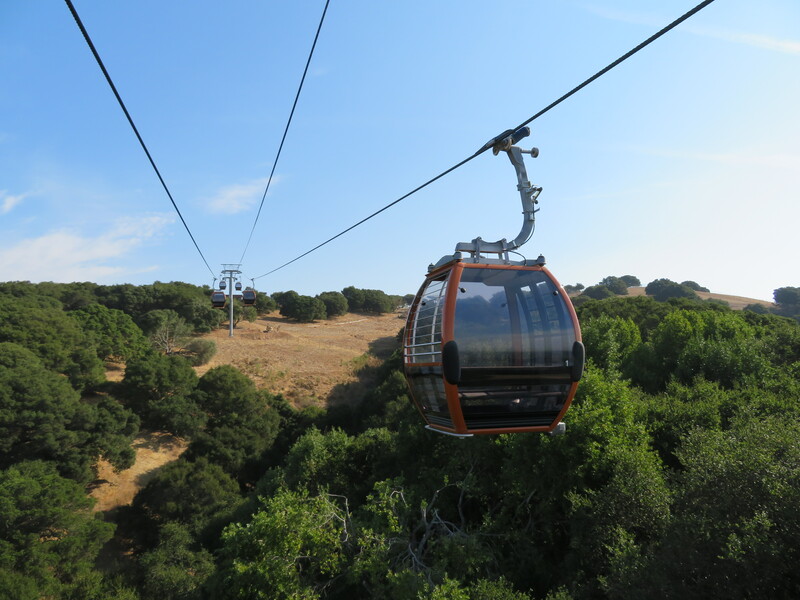 Cabins pass above the forest, simulating a safari. 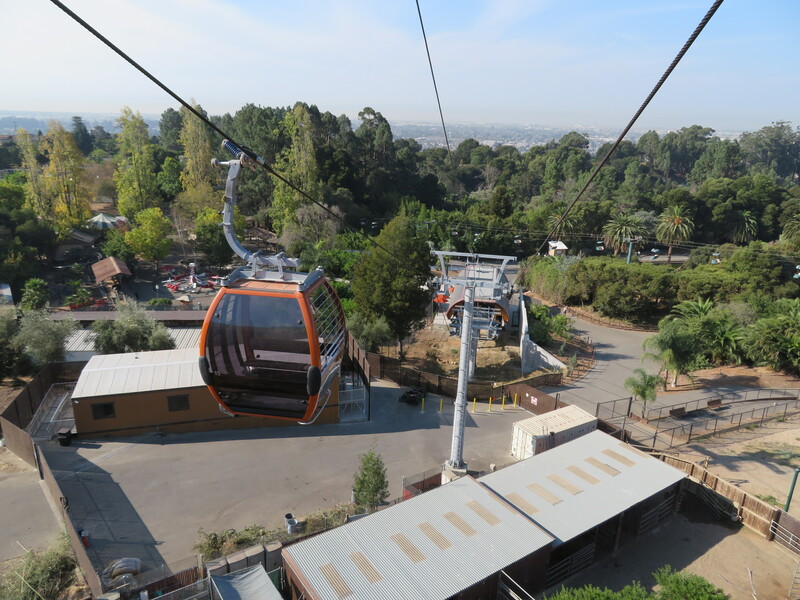 Animals will be added below the gondola in 2018. 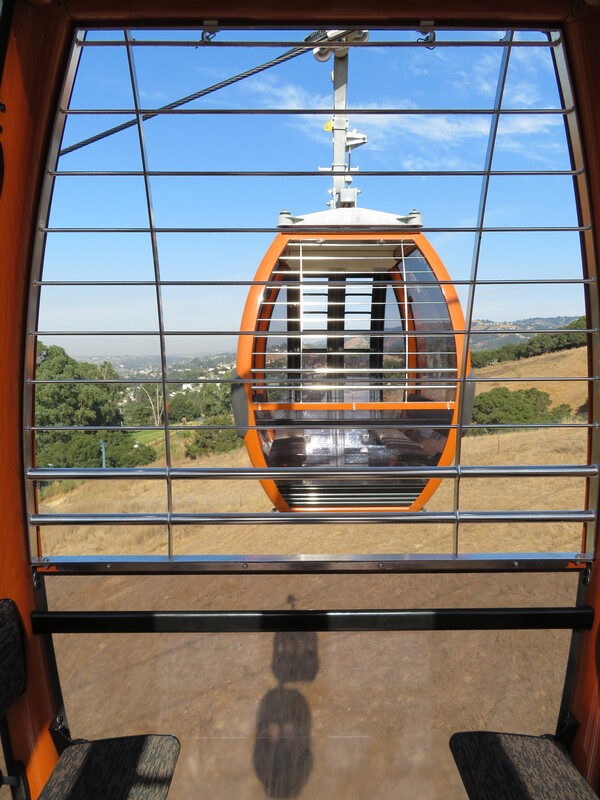 Leaving the Kaiser Permanente Visitor Center. 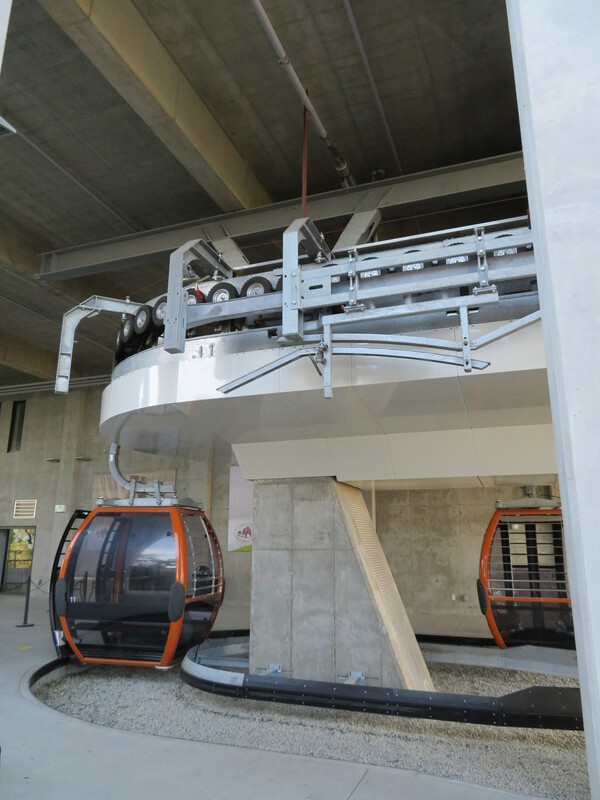 There is no parking rail so the maintenance carrier stays on the line full time. 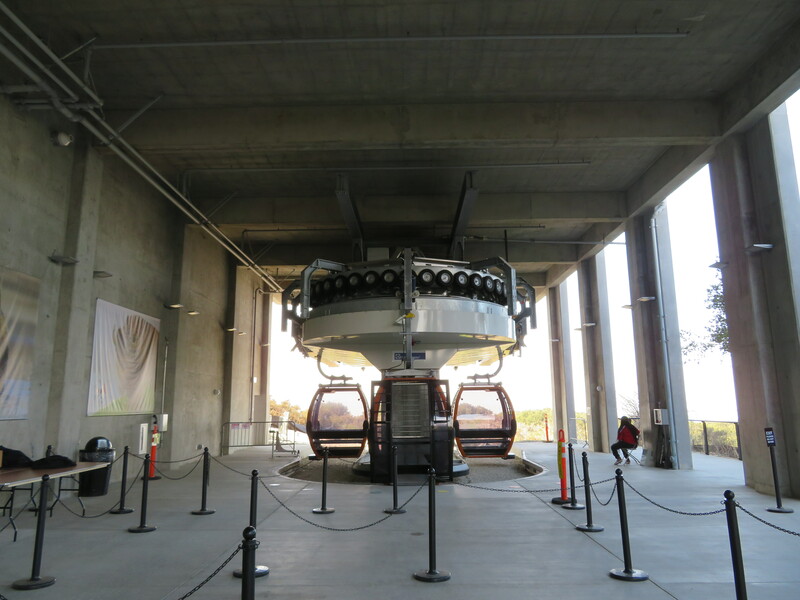 The area below T5 will house American Bison beginning in 2018. 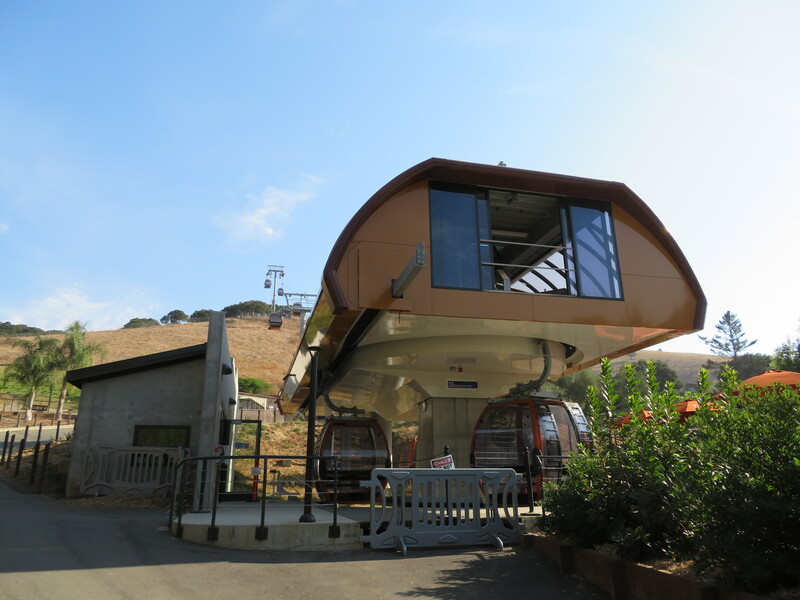 The cabins are open to the air on two sides, which is awesome. 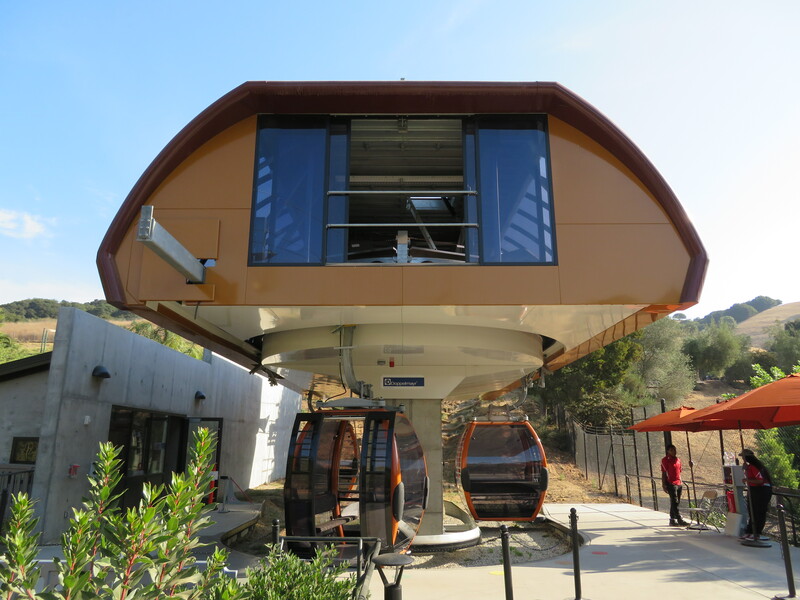 The Omega cabins are the tallest (skis inside) version. 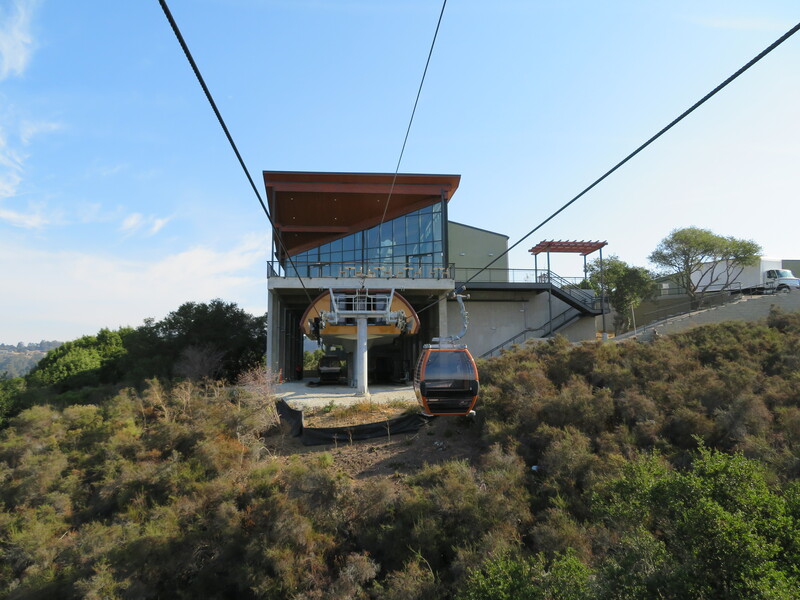 View up from California Station. 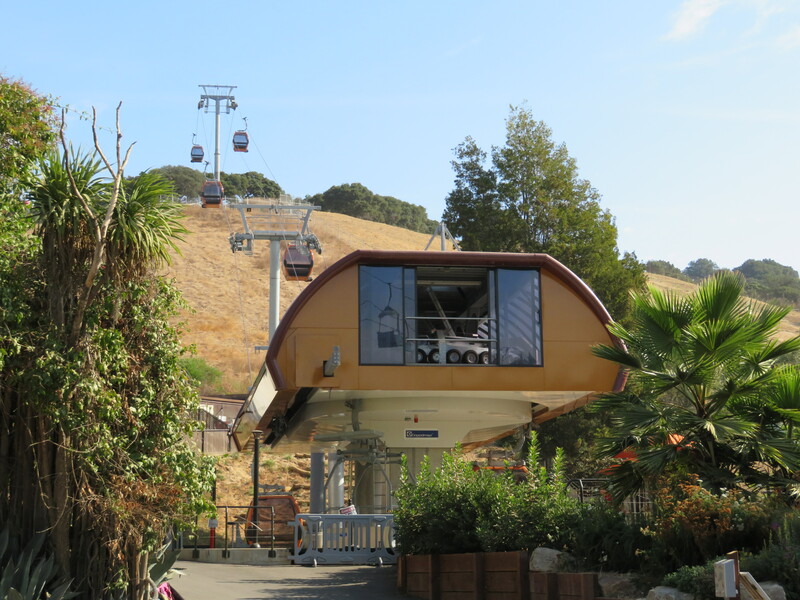 A cabin approaches the summit. 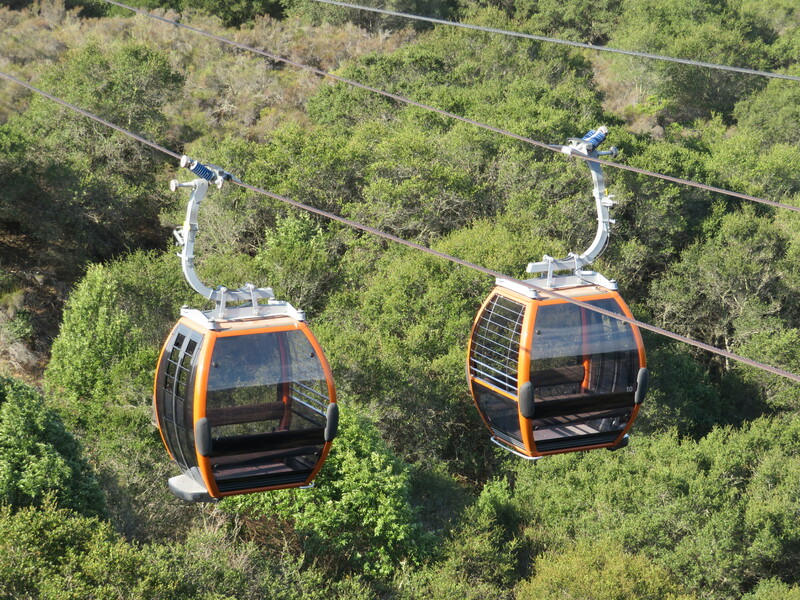 I would think NYC’s Roosevelt Island Tramway is the United States first urban aerial tram. 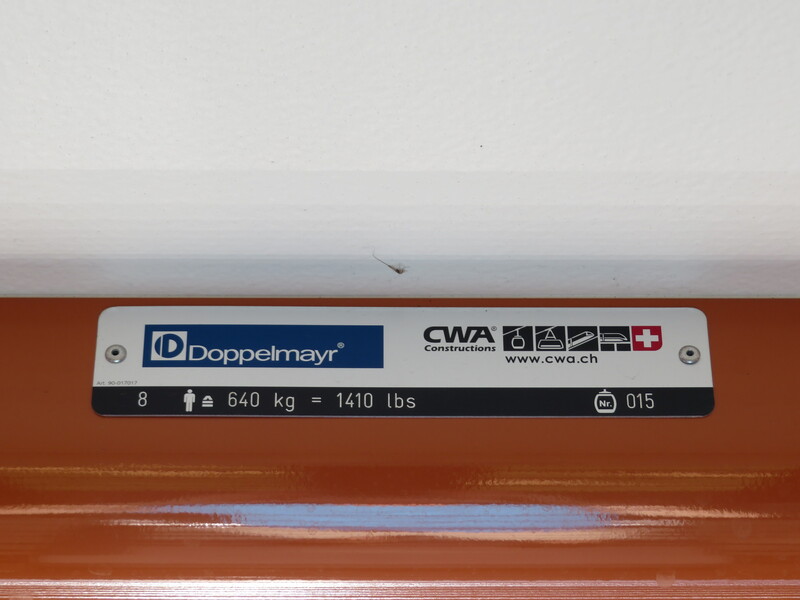 You don’t have this in your database do you?